Chelsea Physic Garden was founded by the Worshipful Society of Apothecaries in 1673 as a resource providing plant material for the training of apothecaries. For most of its existence, the Garden has been a focus for botanists, taxonomists, students and horticulturists both for employing their skills and in training the next generation. These activities have been supported by the work of plant illustrators. 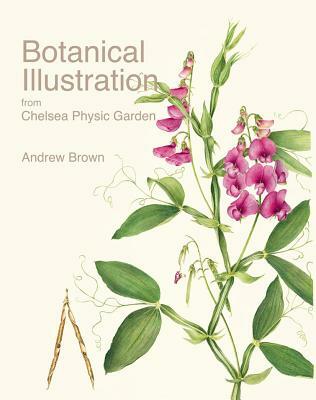 It is the purpose of this book to display the work of talented late twentieth- and early twenty-first century botanical artists, members of Chelsea Physic Garden Florilegium Society, whose explicit aim is to illustrate plants in cultivation in the Garden. In 1995 the Chelsea Physic Garden Florilegium Society was co-founded by Margaret King and Wendy Page. It is a group of artists, the first cohort of which had been studying for a Diploma in botanical illustration at the English Gardening School at Chelsea Physic Garden. The principal aim of the Society is to illustrate all the plants in cultivation at the Garden. Botanical Illustration from Chelsea Physic Garden includes selected works from the garden's archive, which now totals about 500 works. The seventy-eight illustrations reproduced include one in pen-and-ink and three in graphite ( lead pencil), all examples of work by masters of their technique. Also included is one work in colored pencil which is, even on close inspection, indistinguishable from the best water-color painting. Wherever possible, the plates are accompanied by notes about the uses of the plants, as well as the botanical name of the plant and its family.